It feels right to write about what has happened in Paris. To let it go by without acknowledging it here seems false because it’s consuming my thoughts right now. I’ve been thinking about the people that were killed in cold blood. Thinking about the fear they must’ve felt in that second when they realised what was happening. Wondering what they thought about. For some of them it would’ve been their children and that really breaks my heart. Their families have also been on my mind; mothers, fathers, daughters and sons grieving their most cherished loved ones being murdered. Brothers, sisters, aunties, uncles and cousins; angry at the absolute senselessness of it all. Then I think of the psychopaths that did it. What were they thinking? How could they go through with it? How could they have been brainwashed to the point of committing cold blooded murder, killing themselves in the process? We’ve all been posting pictures of the Eiffel Tower and hashtagging ‘Pray for Paris’ because we feel for the victims and the city. But also, we feel for ourselves. It’s human nature. Once we’ve digested tragedies such as these we naturally start to think about how it affects us; how it affects our children. For me I’m doubly scared. First, I’m scared that these lunatics will carry out another attack and one of my loved ones will be hurt. Either here in the UK or in Jordan, where I also have family. I especially worry about my sister who lives in London. The truth is that nowhere is out of reach for the terrorists. We all live in Paris. Second, I’m scared about the Islamaphobia these attacks perpetuate. I am Muslim (although not strict by any means) and my children are Muslim. I’m scared they will be treated differently or even abused at school when they’re older because of their religion. It’s no coincidence that these tragedies create friction between the West and Muslims; it’s part of the terrorist agenda. When the West starts to treat all Muslims with suspicion and sometimes disdain, Muslims feel marginalised and ostracised. And that’s when they become easy pickings for ISIS to recruit. And so the cycle continues. I’ve seen on my own Facebook feed today, hints of racism and Islamaphobia coming through from my own friends (although not close friends, thankfully). They’re not being that way because they’re bad people, but because they’re scared and angry and so when the Right Wing holds up Islam as an easy target to blame, they take it. Each one of these attacks brings changes to all of our lives. A little more caution; another place we decide we’d better not choose for a holiday destination this year. Yes, statistically it’s highly unlikely we’d be killed in a terrorist attack but statistics aren’t what stay with us; those images on the TV of death and destruction. They stay with us. And they scare us. 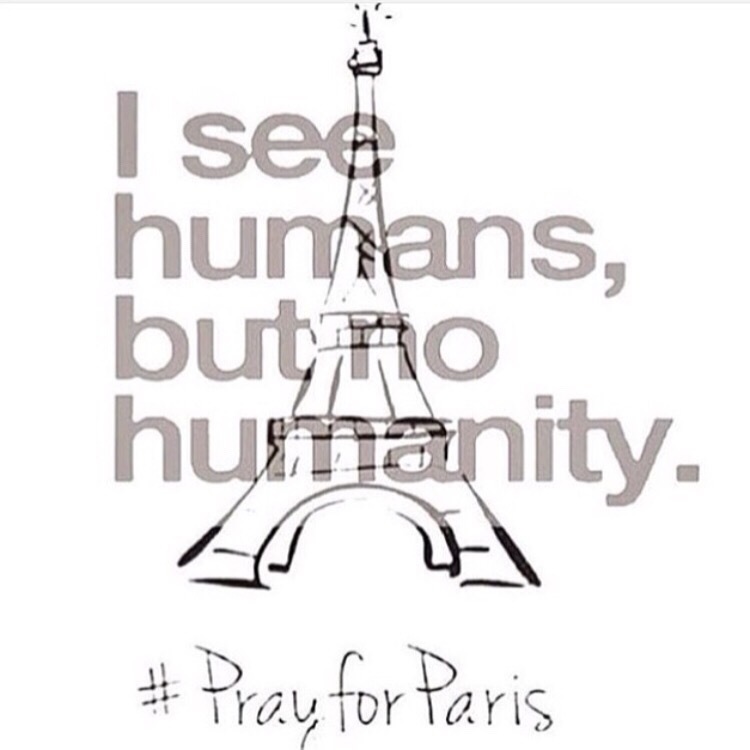 I am praying for Paris but I’m also praying for the world. There was a terrorist attack by ISIS in Lebanon on Thursday (barely reported by the media) and the depressing fact is there will be more, all over the world, in the coming months. 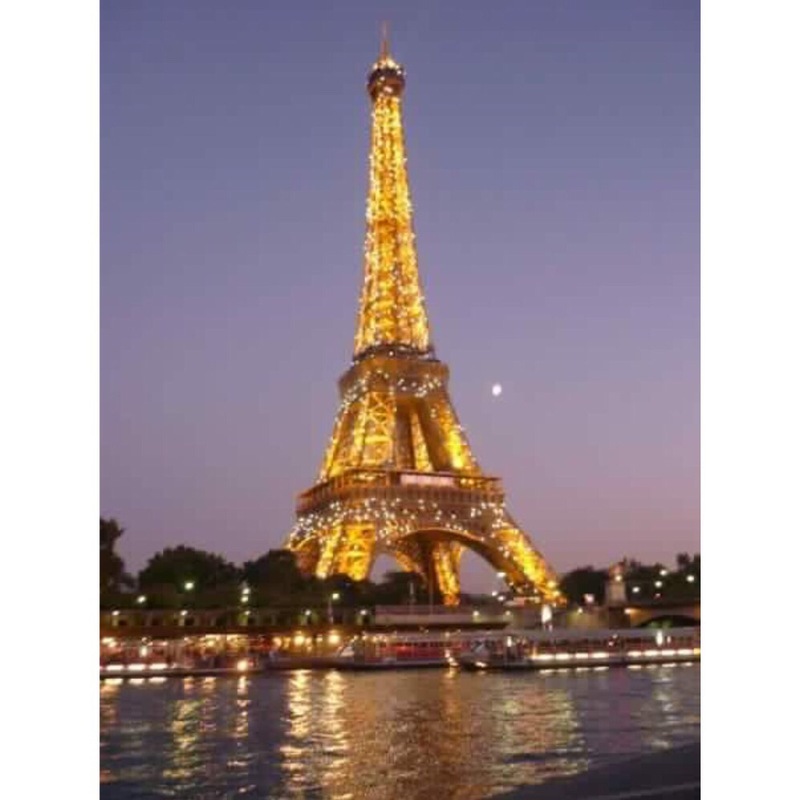 We all live in Paris and I pray for us all.